A perfect complement to the Inertia Task series, the Inertia Upholstered Side Chair provides sturdiness with its simple and stylist design. 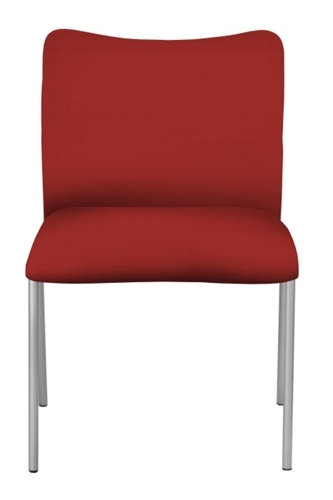 Available in a wide range of fabrics, as well as many different finish options for your ideal side chair! 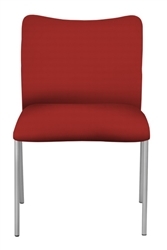 Upholstered back and seat, tubular steel frame, unique shape nylon arms. Fully Loaded stacks 10 on a dolly/ Dimensions: 66"H, 24"W, 36"D.